For three decades, military strategists have claimed that information superiority would increasingly minimize or even replace firepower through the application of advanced information technologies on the battlefield (sensors, computers, automation etc.) (Owens 2001; Arquilla/Ronfeldt 1997; Libicki 1996). How this revolution affects the probability of international conflict or the effectiveness of peacebuilding is fiercely debated between political decision-makers and from within the scientific community alike. Critics point to moral dilemmas, the erosion of international law, the marginalization of democratic accountability mechanisms (for example with regard to drone strikes) and higher risks of unintended conflict escalation (Bergen/Rothenberg 2015; Sauer 2014; Kaag und Kreps 2014; Boyle 2013; Neuneck 2012; Schörnig 2011). What is missing though is a comprehensive understanding of the driving factors of state investments in areas such as satellite sensors, drone technology or remotely-guided missiles. Given the large number of potential explanatory variables (see Mathers 2002; Terriff/Osinga 2010: 199-200; Giles 2014; Giles/Monaghan 2014; Laird/Mey 1999; Forster/Edmunds/Cottey 2002; Adams/Ben-Ari 2005; Farrell 2008; Gareis 2011; King 2014; Foley/Griffin/McCartney 2011; Thiele 2011) and, arguably, the confounding influence of more than a few other factors, there clearly is a need to supplement qualitatively gained knowledge through quantitative research designs. Nevertheless, multicausal large-N studies cannot be conducted as long as we do not have a standardized measurement of the dependent variable, namely the timing and intensity of state investments in information technology-centric military equipment. The research project seeks to fill this critical gap. To this purpose, data about unmanned aerial vehicles (UAVs), satellites and guided missiles have been aggregated into an index that enables a standardized ranking of the capabilities of each state (see table). The data availabaility issues and conceptional criteria that guided the selection of the indicators are explained in the ‚Research Aims & Conceptional Foundation‘ section. A detailed look at our data and a set of download options are provided in the ‚Data‘ section. Structural-realist explanations of the military diffusion processes are based on the logic of systemic competition (Waltz 1979: 127) and a „technological imperative“ (Buzan/Herring 1998: 50-51; Resende-Santos 1996, 2007). Variances in military-technological capabilities result from the unequal resource bases (measurable in the gross domestic product) of different countries. Our data shows that, unsurprisingly, unequal resources clearly have some predictive power with regard to the military-technical capabilities. Yet other factors must play a role as well because the correlation is far from being perfect. A case in point are low MTTI-rankings of Latin American states with considerable economic resource bases (see „Data 2015“). In contrast, liberal accounts of the ongoing military transformation, amongst other factors, point to the restraining influence of casualty-shy electorates on democratic security policy-making (Schörnig 2014; Sauer/Schörnig 2012: 371; Mandel 2004: 13-14). From this follow strong incentives to acquire precision-guided and automated military capabilities in order to minimize the death toll of military campaigns. Therefore, democratic regimes should be more eager to invest in satellite sensors, drone technology and guided missiles than their authoritarian counterparts. Our index, however, only partially confirms this logic. While there are indeed plenty of democracies (as measured by their Polity IV index scores) within top-rank positions, other democracies (for example Japan and, again, Brazil and Argentine) noticeably lag behind authoritarian countries of comparable size. What is more, small Arab autocracies such as the United Arab Emirates combine low Polity IV scores with leading MTTI positions (see „Data 2015“). The following picture shows some leading democracies and autocratic regimes as well as outliers. Overall, these rudimentary plausibility probes lend support to the argument that we need to consider the influence of multiple factors and their interplay in contributing to top-ranking or low-ranking positions. One way to move forward is represented by the multivariate large-N studies, testing and assessing the relative explanatory power of a range of factors. Alternatively, a fuzzy-set qualitative comparative analysis (QCA) would offer a way to identify specific combinations of factors that could each constitute a path to transformation leadership or low-ranking positions respectively. In the latter case, the numerical values of the index should be used to demarcate the categories of leaders, followers, laggers-behind etc. While there is a popular narrative juxtaposing commercial entrepreneurship to change-resistant militaries and emphasizing spin-offs from civil information-technology to military systems only, in reality there seems to be a much more complex interplay of civil and military agency with regard to technological transformation and diffusion (Weiss 2014). Preliminary evidence also calls into question the simple idea of a „technological imperative“ (Buzan/Herring 1998: 50-51) that forces states to spend as much as possible on militarily effective and efficient technologies. In short, the causes of military investments are far from beeing self-evident and „politics matters“. Yet the causes of the recent military technical transformation are still underresearched as compared to the effects of some applications such as, for example, drone technology. Against this backdrop, the research project aims at a better understanding of the driving factors of military investments in information-technology equipment. Different competing explanations – ranging from the regime type to security threats ((see Mathers 2002; Terriff/Osinga 2010: 199-200; Giles 2014; Giles/Monaghan 2014; Laird/Mey 1999; Forster/Edmunds/Cottey 2002; Adams/Ben-Ari 2005; Farrell 2008; Gareis 2011; King 2014; Foley/Griffin/McCartney 2011; Thiele 2011) – have so far been tested almost exclusively through a few qualitative case study designs. Methodologically, these studies focus on only a few, predominantly Western, countries. Furthermore, they do not necessarily clarify their case selection criteria. Our knowledge of the dynamics behind the military adaption and diffusion of information technologies is therefore not only limited but probably also biased towards relatively well-documented Western cases. A quantitative comparative analysis that includes cases from a non-Western context is needed in oder to alleviate these shortcomings. A necessary first step to fill this critical research gap is to generate and provide a standardized measurement of relevant military capacities. To that purpose, we have aggregated data about unmanned aerial vehicles (UAVs), satellites and guided missiles into an index that enables a standardized ranking of the capabilities of each state. Besides issues of data availability and quality (see ‚What we did and what we didn’t), this selection of technical indicators is based on the assumption that the disruptive potential of ongoing military-technical transformations is best captured by the concept of the OODA-loop (observe-orient-decide-act) (see Fadok 1997: 366). In particular, we argue that in military-strategic terms what is aimed for is both information superiority (radical improvement of information quantity and quality during the observe-orient phase) and shrinking time-lags between military decision-making and actions (the two latter phases of the OODA-loop). Theres is arguably a trade-off between these two goals as the quantity of technical intelligence can overwhelm human decision-making capacities and, thus, slow down or even paralyze military actions (Drew 2010). Militaries nevertheless tend so pursue both goals at once and the technological capabilities we selected are key to both strategies (for more details see the section on methods). 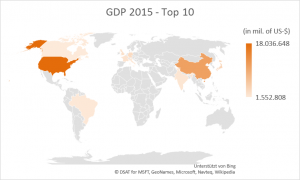 A first downloadable version of our index contains data from 2015 (see data). Later versions will succinctly be created for 2010, 2005, 2000 and 1995. Once finished, the military-technical transformation index as well as the three composite indices can be used for quantitative hypothesis testing as a supplement to qualitative research designs. Some rudimentary plausibility probes of the predictive power of regime-type and resource-based variables are illustrated in the introductory section. Our ranking will also indirectly benefit qualitative research by broadening the base from which to find theoretically relevant empirical cases („crucial cases“). Moreover, clusters of states (transformation leaders, followers etc.) could be identified and then used in a fuzzy-set qualitative content analysis. Thus, we hope to serve multiple methodological pathways and thereby contribute to a more comprehensive research agenda on the causes and drivers of IT-based military transformations. A deeper understanding of the reasons why states invest in IT-centric military capabilities would enable us to identity new possibilities (for example ‚issue-linkages‘, changes in the architecture of arms control regimes, regional partnerships) that would stabilize preventive arms control efforts alongside improved technical procedures. For example, causal analysis might reveal that effective governance mechanisms necessitate the participation of crucial regional powers or regional organizations. Strengthening parliamentary control might be a further necessity in order to avoid conflictive international dynamics while leading to the success of conflict governance mechanisms. 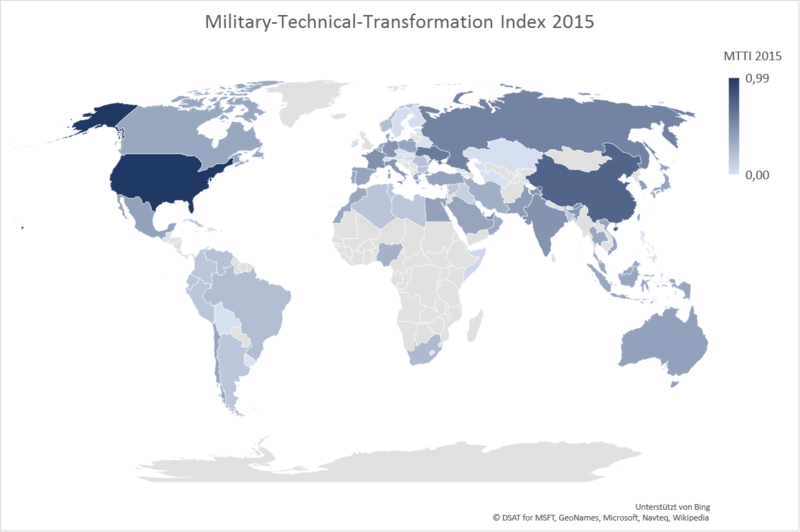 Measuring military technical transformation poses wide-ranging challenges. This section is about these difficulties and the way we have tried to overcome them. We explain our selection of indicators, which data we used and why, as well as the procedures of data aggregation. In short, we inform about what we did and what we didn’t. Please do not hesitate to contact us, if questions remain. Our index is altogether a composite of three technological indicators. Conceptual assumptions as a basis of the selection criteria as well as the criteria themselves are respectively explained below. In its final version, the index measures the quantity and diversity of satellites and UAVs, respectively. In addition, cruise missiles are considered an indicator of military technical transformation if they are able to receive GPS signals or enable remote targeting via datalinks. Our measurement considers only operable systems and not research & development because our focus is on usable military capabilities only. The only exceptions are technological demonstration satellite systems because in this case it is hard to make a clear division between R&D and application. Which criteria guided the selection of technological capabilities as composites of the Military-Technical Transformation Index (MTTI)? A basic assumption of our research design is that the concept of an OODA-Loop (Observe-orient-decide-act) (see Fadok 1997: 366) offers the best way to capture of essence of the ongoing IT-based military transformation. Thus, transformation-leading militaries pursue the dual goal of information superiority and a radical compression of time between decision-making and battlefield action. Whereas technical intelligence and an automated data analysis serves the first goal – improving the observe- and orient-phase – rapidly employable weapons systems that offer precision-strike options – exploiting information advantages – and flexible reprogramming serve the second, almost closing the decide-act gap. As a result of our conceptualization, we focused on the technological capabilities that play an integral part in either gaining information superiority or in the immediate exploitation of superior knowledge or both. Unmanned aerial vehicles, satellite systems and guided missiles fulfill these criteria sufficiently to become building blocks of our index creation. Satellite communication forms the backbone of networked military operations and must therefore be regarded as a crucial factor in distributing sensor data and commanding military units over large distances. What is more, satellite sensors provide ears and eyes to the military and the signals from navigation satellite systems are almost indispensable for coordinating dispersed military units and for targeting weapons systems. Satellite systems are therefore an integral part of the efforts to achieve information superiority throughout the military and of minimizing the reaction time of individual units and platforms. Unmanned aerial vehicles, in turn, because of their ability to stay above the battlefield for hours, dramatically increase the ability to monitor ongoing situations. If weaponized they furthermore offer rapid intervention options. Thus, they are instrumental both to weaving a web of technical sensors (achieving information superiority) and to delivering military results on short notice (acceleration). Finally, guided cruise missiles already contributed to a “shock-and-awe” strategy that neutralized conventional forces in the 1991 Gulf War in a very short time-period. They combine vast speeds with flexible targeting via the insertion of sensor data from other platforms. As a result, they have become a preferred choice for translating information advantages into swift military action. Although there is competition from unmanned aerial vehicles now, guided cruise missiles will likely be around for a considerable time not the least because it is much more difficult to defend against them. There are technological capabilities that met our criteria but were nevertheless not included. Many would argue that the military-technical transformation is less about new technologies and platforms and more about a “system-of-system” approach and the paradigm of network-centric warfare (NCW). Unfortunately, it is hard to find a standardized measure of the degree of networking among military platforms and/or units. Even though one might be able to plausibly assess differences of networking between transformation-leading militaries and those who rely primarily on man-power and the deterrent effect of defensive legacy systems via detailed case studies, this is no viable strategy when it comes to the creation of large data sets. Even without data gaps, data acquisition would require far more resources than those available within a small research team. Besides quantitative and qualitative networking characteristics, the degrees of automatization would principally be another relevant criterion for categorizing individual platforms or, in a second step, for identifying an average level of automatization throughout a set of military capabilities. The automatization relies on computer algorithms that cannot be analyzed from the outside however. Unmanned aerial vehicles (UAVs), are – as most systems – black boxes in this regard. This is no basis for large n-studies. We did not include cyber assets even though they might serve as a useful proxy for measuring the networking degree of military platforms and units. We decided against including a cyber component primarily because of data availability issues. First, there is no globally comparable data on the numbers of computers or processor power used by national militaries. Second, the indirect measurements of cyber assets are heavily biased and these biases are hard to predict. For example, we considered the vulnerability to cyber attacks as an indirect measurement of cyber assets. That is because in the cyber security literature it is widely believed that highly digitalized organizations represent especially valuable targets with multiple venues for outside attackers. Yet few cyberattacks become public and disclosure policies differ from one actor to another. Also, reporting on cyberattacks is influenced by numerous political and strategic rationales. Thus, media reports on cyberattacks do not offer even a rough estimate of the actual levels of vulnerability. Alternatively, we based our data acquisition strategy on media accounts of cyber policy developments and specifically on reports about the establishment of military cyber strategies, cyberwarfare units and cyber commands. Thereby, we hoped to be able to map the degrees of institutionalization within national militaries. These differences, in turn, should indicate differing degrees of concern for the security of cyber assets. Assuming rational actors, greater reliance of military operations on cyber assets should lead to greater concern for their protection and thus increased institutionalization and prioritization (as indicated by the establishment of cyber commands as equivalent to the army, navy or air force headquarters). Eventually, we also decided against this type of indirect measurement because of two methodological challenges: First, media databases such as Nexis disproportionally display English, Spanish, French and German language newspapers and journals. With lower coverage of developments in non-Western regions come increasing risks of false negatives (for example not recognizing the creation of military cyber strategies in small Asian countries). In addition, our reasoning might be flawed on conceptual grounds. For example, path dependency and bureaucratic politics, that is the existence of intelligence units with high reputation and vested interests, arguably prevented Israel from reorganizing its military through creating a cyber command. It is also possible that in another context cyber commands are established as part of symbolic politics in order to mask weaknesses in cyber protection and to meet expectations that “something must be done”. In short, the degrees of institutionalization do not necessarily reflect security concerns and therefore offer no reliable indicator of cyber assets. Given these substantial measurement problems, the cyber component was eventually omitted in its entirety from our index. UCS – (Union of Concerned Scientists) Satellite Database, available at http://www.ucsusa.org/nuclear-weapons/space-weapons/satellite-database. This database is the most detailed with respect to satellite platforms and sensors. It lists users and purpose as well as many technical specifics and has a transparent data policy as one can easily track all the sources of all information. The data available online only reflect the status quo but older versions are available on demand. Military Balance 2016, available in most university libraries on a digital basis or in print version, was an essential source for counting UAVs in general. New America Foundation, World of Drones overview on combat drones, available only at http://web.archive.org/web/20170519151619/http://securitydata.newamerica.net/world-drones.html. We included NAF information on combat UAVs in our index because it was the only exhaustive overview we could find. It is updated regularly, so we had to check if drones were integrated after 2015 and should therefore not be included in our 2015 dataset. Janes Weapons Strategic, 2015-2016, available in some libraries in print version. This publication discusses technical developments in different fields, including cruise missiles. It was an essential source for our analysis because it indicates CMs with GPS navigation and targeting datalink features. Military Balance 2016, available in most university libraries on a digital basis or in print version. It was necessary to check the possessor states of CMs that had been found in Janes Defense. The combination of both sources came along with some problems that are discussed below. Heather Roff: Global Security – Autonomous Weapons System. The project provides information on a variety of military capabilities that include some degree of automatization. Yet it does not aim at a comprehensive assessment of the automatization of all existing systems in a given category as, for example, unmanned aerial vehicles. Item selection has been primarily on the basis of arms export volumes and therefore systematically excludes indigenously developed technologies and weapons systems. Bearing in mind that these systems are just as relevant to our index as purchased systems, the database offers a useful additional resource but does not qualify as a primary data source. SIPRI Arms Trade Database: SIPRI is well-known for its comprehensive and reliable data on the global arms trade. Yet our research interest goes beyond the market-based diffusion of technologies and systems. 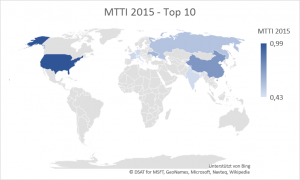 Missing data on indigenously developed systems that are not exported therefore constitutes a crucial data gap within the context of the Military-Technical Transformation (MTTI) index. That’s why we didn’t rely on SIPRI arms trade data as primary source although we used it to check the reliability of other sources. United Nations Office for Outer Space Affairs: http://www.unoosa.org/oosa/osoindex/index.jspx?lf_id= The UNOOSA database lists all orbiting satellites and is highly user-friendly by offering advanced search options. However, it does not indicate orbiting satellites in a given year in the past. As our index presents data in five-year intervals (2015, 2010, 2005, 2000), continuous databases without differentiation between years do not meet our specific research needs. Jonathan McDowell’s Homepage: http://www.planet4589.org/space/. This database has been created as a private project by astrophysicist Jonathan McDowell. It probably offers more details on space objects than any other database. Most relevant with respect to our research purposes, Jonathan gives estimates on the end-of-operation of all satellites. Thereby, we have been able to identify orbiting satellites on a yearly basis. We also very much appreciate that Jonathan provided even more detailed data, differentiating between military and non-military payloads, via direct communication. However, the data did not allow us to differentiate the civil and commercial purposes of satellite systems. Therefore, we eventually decided to use other primary sources. 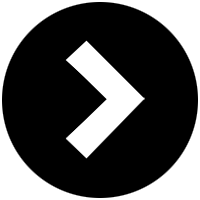 Gunter Krebs: http://space.skyrocket.de/. This database offers information on satellite systems on a country-basis. However, it does not indicate orbiting satellites in a given year in the past. As our index presents data in five-year intervals (2015, 2010, 2005, 2000), continuous databases without differentiation between the years do not meet our specific research needs. Heather Roff: Global Security – Autonomous Weapons System. The project provides information on a variety of military capabilities that include some degree of automatization. Yet it does not aim at a comprehensive assessment of the automatization of all existing systems in a given category. Item selection has been primarily conducted on the basis of arms export volumes and therefore systematically excludes indigenously developed technologies and weapons systems. Bearing in mind that these systems are just as relevant to our index as the purchased systems, the database offers a useful additional resource but does not qualify as a primary data source. SIPRI Arms Trade Database: SIPRI is well-known for its comprehensive and reliable data on the global arms trade. Yet our research interest goes beyond the market-based diffusion of technologies and systems. Missing data on indigenously developed systems that are not exported therefore constitutes a crucial data gap within the context of the Military-Technical Transformation (MTTI) index. For this reason, we did not rely on the SIPRI arms trade data as a primary source although we used it to check the reliability of other sources. Although we used the yearly Military Balance (MB) of the International Strategic Studies Institute (IISS), the data was checked against and sometimes corrected by information within the IHS Janes Weapons Strategic. 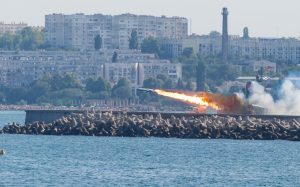 The MB was not our only primary source for two reasons: First, we have found that crucial abbreviations such as LACM (Land-Attack-Cruise-Missile) or ASCM (Anti-Ship-Cruise-Missile) are not always used consistently when comparing several country profiles or volumes. Furthermore, the MB does not usually provide details on the navigation and targeting features of missile systems. Although it is unquestionably a very valuable source, we therefore decided to complement the MB data with data from the HIS Janes Weapons Strategic. Heather Roff: Global Security – Autonomous Weapons System. The project provides information on a variety of military capabilities that include some degree of automatization. Yet it does not aim at a comprehensive assessment of the automatization of all existing systems in a given category. This also applies to Unmanned Aerial Vehicles. Item selection has been primarily conducted on the basis of arms export volumes and therefore systematically excludes indigenously developed technologies and weapons systems. Bearing in mind that these systems are just as relevant to our index as the purchased systems, the database offers a useful additional resource but does not qualify as a primary data source. SIPRI Arms Trade Database: SIPRI is well-known for its comprehensive and reliable data on the global arms trade. Yet our research interest goes beyond the market-based diffusion of technologies and systems. Missing data on indigenously developed systems that are not exported therefore constitutes a crucial data gap within the context of the Military-Technical Transformation (MTTI) index. Thus, we did not rely on SIPRI arms trade data as a primary source although we used it to check the reliability of other sources. Matthew Fuhrmann/Michael Horowitz: Both well-known experts in drone proliferation, they have created a dataset on operational drone systems in 2014 and tested several explanations (threat environment, regime type, industrial base) of drone technology diffusion in their International Organization article (see https://www.cambridge.org/core/journals/international-organization/article/droning-on-explaining-the-proliferation-of-unmanned-aerial-vehicles/8982612535696D00F6D040DB56C741AF). The data also differentiates between tactical and advanced as well as the armed types of UAV capabilities. However, it is not yet shown in a time-series format and therefore cannot be used to create values in five-year intervals. Our measurement relates to the quantity and diversity of national satellite systems. Both governmental and military satellites are included, although their values have been weighted asymmetrically. Commercial satellite systems were excluded from our analysis. The inclusion of civil-governmental satellites is due to the dual use potential of space assets. The data gathered by civil-governmental satellites can be used for military purposes. 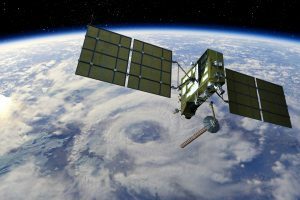 Weather satellites or satellite navigation systems offer good examples. Furthermore, the labelling of satellites reflects political choices – many Chinese space programs are categorized as civil-governmental despite offering military applications – and therefore the line between non-military and military use is further blurred. While it is true that militaries rely on commercial satellite services as well, for example the UK forces on Skynet, these customer-client relationships need to be differentiated from the cases of state ownership. Only state-owned satellites count as technological capabilities. Commercial satellite systems have therefore been excluded from out data set. First, a satellite quantity index is created. We identified and differentiated five categories: Communication (Com), Navigation (Nav), Observation (Obs), Electronic and Signal Intelligence (El Il) and Technology Demonstration (TD). Communication satellite systems usually operate in the geo-stationary orbit and transmit data over radio telecommunication signals. Navigation satellite systems enable users to determine their geographical positions via hand-held receivers and navigate their course without carrying heavy equipment. They also offer crucial timing services for financial transactions. The category of observation satellite systems subsumes satellite with optical sensors, radar sensors or infrared sensors. Space-based electronic and signal intelligence systems are used to intercept satellite and terrestrial communication signals. Finally, technology demonstration is a catch-all category for all kinds of potential new applications including space-based monitoring and repair as well as space weapons. While communication satellites, navigation satellite systems, observation satellite systems, and technology demonstration satellites exist for both non-military and military uses, elint and signal intelligence systems are only used by security agencies and militaries. Our index therefore does not split elint and sigint satellites into civil-governmental and military assets. As a primary data source, our index uses the Union of concerned Scientists Database on Satellites. The USC Database was the most adequate dataset for our research purpose; see why above. We used data from January 2016. The UCS publishes up-to-date information on satellites three times a year. Our estimate of national space assets in 2015 rests on data from early 2016. There is of course a certain probability that satellites had been in operation through most of 2015 and then de-orbited late that year. These satellites will not be featured in our dataset. The measurement effects arising from this inaccuracy should be negligible however. The categories used by UCS are somwhat different from our own categories. The UCS data on satellites categorizes satellites as military, civil, commercial or governmental depending on their users. We opted to make no difference between single, double or triple categorizations. Thus, the satellites that have been categorized by military/xy users are simply categorized as military. Satellites that are categorized by government/xy users are categorized as simply governmental. Thereby we arrive at only three categories: military, governmental or civil/commercial, with the latter category basically denoting all satellites not under state control. In addition, the UCS sorts satellites according to applications. Here there is only a partial match between the UCS categories and our own categories. While the UCS categories ‘Communication’, ‘Navigation/Global Positioning’ and ‘Technology Demonstration’ are identical to our categories and therefore pose no problems whatsoever, ‘Earth Observation’ in UCS’s language includes the ELINT and SIGINT satellite systems. Therefore, we had to disentangle the subsumed items in this latter case. The satellites being named ‘Earth Observation’ in our index are therefore UCS Earth Observation satellites minus Electronic Intelligence. In cases where more than one category has been used to describe the satellite, the category coming first is used for our classification, as we consider it to be the most important purpose and decided that weighting single satellites with double or triple purpose as half or one third would overcomplicate our measurement. In cases with multiple satellites owners, the satellite is listed in every country list and weighted accordingly for the index. Not every categorization within the UCS seems plausible to us. The joint ESA/EU satellite navigation system Galileo is a good example. It has been categorized by USC as purely commercial even though it offers state agencies privileged access to a number of high-quality navigation services for security and humanitarian missions. Furthermore, China disposes of satellites that are categorized as being ‘governmental’ although the user in these cases is the Chinese military and their purpose is electronic Intelligence. Therefore, we categorized them as military satellites in these cases. After all satellites have been counted and listed in country lists, a satellite quantity index is initially created. Categories Com, Nav, Obs, ElIl and TD are not weighted. Subcategories military/governmental were weighted. Military satellites were doubly weighted, governmental satellites simply. Our aim is to measure military capacities. However, a clear demarcation between military and other nonmilitary governmental use of satellites is implausible. One reason is that space has been militarized (with satellite offering crucial services for battlefield use) but not weaponized. Military satellite systems up until now do not have on-board protection devices. That is, they do not differ from nonmilitary satellites in the way that armored vehicles differ from private cars from a technical point of view – except perhaps for a higher performance of optical sensors, better encryption etc. The conversion from civil to military use and vice versa is therefore always a viable option. Any measure of national space capacities would miss the ‘dual use’ characteristic of space assets if it ignored the latent military potential of civil-governmental satellite systems. In other words: Civil-governmental satellite systems under governmental control need to be included in our measurement. On the other hand, some differences in use value between dedicated military satellites and other satellites remain. For one, dedicated military systems are always at the disposition of military agencies. In contrast, the use of civil-governmental satellites is most likely regulated by sharing agreements with other agenices and therefore the capacities are not always available. Second, military satellite systems on average have more advanced technical features (such as high-resolution sensors). Methodologically, we reflected by these differences of use value by an asymmetric weighting: 2 points for military satellites and 1 point for nonmilitary governmental satellites. National scores on our aggregated satellite index range from 0 to 1. 0 represents the lowest value within our sample, in this case zero, because many states do not have any satellites at all. 1 represents the highest value within our sample, in the 2015 index this is 418,2 (USA). Our index is a measure of relative state capacity. Therefore, what is many and what is few depends on the average size of satellite portfolios at a given point in time. That’s why we need benchmarks that reflect actual empirical values instead of hypothetical maximum or minimum values. Relative values create problems of intra-state comparability. That is, variations of national scores between 2010, 2005 etc. do not necessarily indicate absolute increases or decreases of national military capacities. They only proof increases or decreases relative to other states. It is likely that some national scores will decrease despite growing numbers of nationally available satellites. Theoretically possible but less likely (given the overall trend of a growing number of military satellites) is a combination of rising score value and lower number of national satellites. All state values based on weighted counting are then converted into the quantity index score. Second, a satellite diversity index is created. Categories Com, Nav, Obs, ElIl and TD are weighted. Points are allocated within a category if the states had at least one satellite in this category. Com counts doubly, Nav, Obs, ElIl and TD simply. Subcategories military/governmental are weighted again 2/1. Scales start with – 0 – that is the minimum score possible. They end with – 1 – that is the maximum possible score: 17. While our index is aimed at measuring the relative state capacity and therefore one cannot define a priori a maximum of satellite systems (see above), the case is different with satellite applications. A qualitative categorization of satellite applications implies a logical maximum diversity. This can be used as a benchmark for comparison purposes with actual satellite portfolios. This part of the index may become obsolete in a future scenario of widely-dispersed satellite applications when all states might have almost all satellite types within their portfolio or new applications are invented. All states values based on weighted counting are then converted into the quality index value. The mean of both satellite quantity and diversity indices values constitutes the overall satellite index. We analyze the quantity and diversity of national UAVs. Only military UAVs are included. UAVs are obviously used not solely within military campaigns but also for other security tasks such as border control or environmental protection, for example against poaching in the context of wildlife protection. What is more, they also serve non-security missions as for example agricultural management and in the not too distant future they might play a leading role in customized logistics. In other words: UAVs are multipurpose systems and this begs the question why we did not include civil UAVs in our measurement. The reason is threefold: First, existing databases within peace and security studies do not include civil UAVs. Given the proliferation rate especially of widely available small UAVs, data acquisition would be an almost insurmountable task. Second, there are good reasons to ignore small commercial UAVs because their performance is hardly comparable to military systems r- in terms of speed, endurance, payload etc. Second, counting all state-owned and advanced UAVs poses methodological challenges beyond data acquisition. That is because the competences of state border control and other security agencies and their relationship to military forces vary enormously from case to case. It is therefore almost impossible to calculate any plausible military side-value for state-owned UAVs in general. We therefore opted to ignore non-military UAVs, acknowledging the risk that we eventually underreport some states capacities. Both weaponized and reconnaissance UAVs are included. The data basis for our 2015 index was the Military Balance 2016 plus the data from the New America foundation. The Military Balance is the only source of information on all national military UAV capacities on a global scale. Other sources did only partially meet our research criteria (see above, why). The New America Foundation dataset was the only one offering data about different types of weaponized UAVs within national militaries weapons arsenals. The MB uses military technical terms (squadron or units) without quantifying the number of component weapon systems or soldiers. Given that there is no universally consistent definition of a squadron or unit, we counted UAVs in entities and single UAVs separately and constructed a mixed index. For both sub-indices the scales start with – 0 – that represent the minimum value of a state in our sample, in both cases zero (many states). The end of the scale is set at- 1 – representing the maximum score of states in our sample, in the squadron-based version 31 (USA) and if only single UAVs are counted 1057 (USA). After counting single UAVs and UAV groups separately, we created a separate index for both and then produced the UAV quantity index by calculating the mean of both indices. One could argue that simply counting all UAVs as single UAVs would have been a better choice. That is because our data aggregation, as it now stands, disproportionally favors states that have many UAV groups relative to those that have a lot of single UAVs but no UAV groups. There are two reasons why we did however not opt for converting units into single UAVs numbers. First, units are labelled inconsistently and vary in terms of the number of included weapon systems. The actual number of UAVs within a specific unit would have to be figured out on a case to case basis and that was not doable with the limited resources of our research team. Second, there is a substantial difference between having 6 single UAVs or having 6 UAVs in a squadron or other military units. Units are formal structures in the military that train together on a regular basis, having a clear chain of command and uninterrupted leadership. Operations that can be undertaken by units are therefore arguably structurally different from those relying on single UAVs. All state scores based on simply counting are then converted into the index value. The mean of both indices is used to construct the UAVs quantity index. For the diversity index values were attributed along different categories of Unmanned Combat Aerial Vehicles (UCAVs): Tier I, Tier II and Tier II+. The categories Tier I, II and II+ reflect a common categorization clustering of UCAVs by technical performance: altitude and endurance. Tier II are known as HALE UAVs (High Altitude, Long Endurance) Tier II+ UAVs are known as MALE (Medium Altitude, Long Endurance) and Tier I UAVs are flying low and have a low endurance. We adopt this categorization from the new America Foundation because MALE and HALE are still widely used categories that adequately describe important functional requirements of military UCAVs. The additional category ‘Tiers I’ turned out to be a useful complement to MALE and HALE by making it possible to assess the whole set of military drone uses. The scales start with – 0 – that is zero drones within Tier I to III. The end of the scale – 1 – is defined by the maximum value that can possibly be assigned to a state: 3. We weighted all types of UCAVs (Tier I to III) equally even though some UCAVs are probably more useful than others when it comes to speeding up the OODA-loop process. However, this very much depends on specific tactical goals and operational conditions. Therefore, generalizations are hard to make, let alone the establishment of the hierarchy of the UCAVs types with numerical values increasing from the bottom to the top. Second, this component of the index was intended to measure the diversity of UCAVs. From this follows that a range of functionally different UAVs, because they improve the flexibility of military planning, should lead to a higher score than the high numbers of functionally equivalent UAVS models. All state values based on simply counting are then converted into the diversity index value. The mean of the quantity UAV index and diversity UCAV index is used to construct the UAV index. Guided missiles with satellite navigation and/or datalink targeting technology qualify for our index. Cruise missiles differ in many ways whether it is payloads, possible warheads, fly range, propellant, navigation technology, the targeting system or the seeker. Few components could unambiguously be attributed to the information technology revolution. What is more, qualitative differences are difficult to assess without classified information. There are two exceptions: satellite navigation and datalink targeting. Both technologies enable more precise flight and firing and rely heavily on data infusion. Additionally, both features are well documented by publicly available databases. On average, missiles that receive and are able to process satellite navigation signals operate more precisely than those with only inertial navigation. They also fly more autonomously than those being controlled by the launcher via datalinks. Datalinks differ with respect to navigation or targeting: Most datalinks serve only navigation purposes. If also used to exchange targeting data, the missile stays under control of the launcher until a very late point in time during the flight. This is only possible because of complex data management within the missile and on the launcher. Datalink targeting requires therefore a high degree of digitalization. On the other hand, the missile acts arguably less autonomously than the one without such a link. While the purpose of data transmittance makes for a good analytical starting point, the widely used label ‘fire and forget‘ is less useful because it offers a limited number of clues to specific technical features and is inconsistently applied to very different systems for marketing purposes. Unfortunately, there is no alternative convincing categorization of the degrees of autonomy. What is more, missiles are black boxes when it comes to the algorithms that enable autonomous operations. These fall under classified information policies. As a result, the limits of data acquisition alongside conceptual issues prevented us from adding degrees of autonomy to our indexing criteria. Our analysis is based both on the IHS publication ‘Janes Weapons Strategic’ from 2015/2016 and on the Military Balance 2016. No single data source included both information on the specific technical features of missile systems and information on state ownership. Therefore it was necessary to combine sources. ‘Janes Weapons Strategic’ shows detailed information about all cruise missiles in use or under development. Data is sorted according to the producing country. Satellite navigation is mentioned as part of the general specifics, datalink targeting is mentioned as a sideline within the general description. The military balance lists missiles amongst all other weapon systems in state military arsenals. Missiles are mentioned in the subchapters on army, navy, air force etc. categories, as they can be used in different services. They can be found under their name, sometimes indicating not only the type but also the variant of a type. One problem concerning datalink targeting technology is that there is no checkmark in ‘Janes Weapons Strategic’ whether a missile has such a technology or not. As the datalink has been mentioned for navigation many times and for targeting several times too, we assume that if a missile has got a datalink technology for targeting it would be mentioned in the description. As we cannot double check this information for lack of alternative data we have to trust in this estimate, although there are some doubts remaining. An overall problem of ‘Janes Weapons Strategic’ is that they do not claim to be exhaustive, too. Therefore, there may be some bias, f. e. with regard to comparably less specific Chinese missile entries. Starting from the IHS we generated a list of cruise missiles that include satellite navigation and/or datalink targeting technologies. There are two problems wedded to this procedure. The first one is that we cannot double-check on entries within ‘Janes Weapons Strategic’. Also, we do not know if some missiles with relevant technical characteristics are missing in their data set. The IHS itself writes in a disclaimer that the information provided is accurate to the best of their knowledge (and sources). That is, some data gaps probably exist. A second caveat relates to the fact that the IHS is not always clear about the technology differences among variants or about their technical names. While there are missiles types described in detail, some variants are also being described in detail too and sometimes it is unclear whether the description was made for all missiles or for some of the types only. We tried to be as accurate as possible and opted for inclusion of technologies in unclear cases as we wanted to avoid underreporting. This list is then combined with the information of the Military Balance missiles entries. There is one potential problem while combining the two lists: The designators of the missiles are not identical and therefore a missile must be searched in the MB with all possible designators. The MB does not use all designators in a coherent way and therefore sometimes there is an element of interpretation: assuming that a certain missile is meant but designated slightly incorrectly due to a coding error. This might lead to some over-reporting and inaccurate values especially in the cases of states with only a few missiles. Every state, that has at least one type of missile that occurs on our list, receives one point. In case a state has got both satellite navigation and datalink technology among its missiles, it receives two points. The scales start with – 0 – representing zero missiles with either data link or satellite navigation features. The end of the scale is set at – 1 – representing the maximum possible value attributed to a state: 2. All state values based on simply counting are then converted into the index value. The final index is aggregated from the combined satellite index, UAVs index and missile index scores. On the left: our construction, on the right: the result. Our data is accessible on this page in two ways. You can either search within our tables or download the data you need. 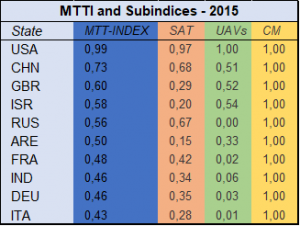 ‚MTTI_subindecies and Index 2005-2015‘ aggregates the results of our analysis. The data you will find within ‚SAT‘ ‚UAV‘ and ‚CM‘ contains the sub-indices results, including evaluative comments and source information. If any questions about our methods remain, please do not hesitate to contact us. All references on this homepage are listed below plus additional titles we deem useful in the context of our research project. You can get our plaine citavi-file by contacting us. Adams, Gordon; Ben-Ari, Guy (2005): Transforming European Militaries: Coalition Operations and the Technology Gap, Abingdon/New York: Routledge. Alberts; Hayes, Richard E. (2003): Power to the Edge. Command and Control in the Information Age. Washington, DC: CCRP Publication Series. Alberts, David S. (2003): Information Age Transformation. Getting to a 21st Century Military. Washington, D.C.: CCRP Publication Series. Alberts, David S.; Garstka, John; Stein, Frederick P. (1999): Network Centric Warfare. The Face of Battle in the 21st Century. Washington, DC: National Defense University Press. Arquilla, John; Ronfeldt, David (1997): A New Epoch – and Spectrum – of Conflict. In: John Arquilla/David Ronfeldt (Eds. ): In Athena’s Camp: Preparing for Conflict in the Information Age, Santa Monica, CA: RAND, 1-20. Arnold, Brian A.; Vitrikas, Robert P. (1992): Effects of Modern Technology on Airpower and Intelligence Support. Washington, DC. Assistant Secretary of the Army for Acquisition, Logistics and Technology: Weapon System Handbook 2016. Washington, DC. Beier, J. Marshall (2006): Outsmarting Technologies: Rhetoric, Revolutions in Military Affairs, and the Social Depth of Warfare. In: International Politics 43 (2), 266–280. Bergen, Peter; Rothenberg, Daniel (Eds.) (2015): Drone Wars. Tranforming Conflict, Law, and Policy, (Cambridge University Press), Cambridge. Boyle, Michael J. (2013): The Costs and Consequences of Drone Warfare, International Affairs, 89 (1), 1-29. Buzan, Barry; Herring, Eric (1998): The Arms Dynamic in World Politics, Boulder/London: Lynne Rienner. Defence Research and Development Canada (2010): Concept Development of Artillery Precision Guided Munitions. Accessed: http://www.dtic.mil/dtic/tr/fulltext/u2/a590120.pdf. Dickow, Marcel et al. (2015): First Steps towards a Multidimensional Autonomy Risk Assessment (MARA) in Weapons Systems. Stiftung Wissenschaft und Politik. Berlin (FG Sicherheitspolitik, WP No 05). Drew, Christopher (2010): Military is Awash in Data from Drones, The New York Times, 11.01.2001, http://www.nytimes.com/2010/01/11/business/11drone.html (accessed: v11.02.2010). Dworok, Gerrit; Jacob, Frank (Eds.) (2016): The Means to Kill. Essays on the interdependence of War and Technology from Ancient Rome to the Age of Drones. Jefferson, North Carolina: McFarland & Company Inc. Publishers. Economist Intelligence Unit and Booz Allen Hamilton (2011): Cyber Power Index. Findings and Methology. Accessed: http://www.boozallen.com/insights/2012/01/cyber-power-index. Farell, Theo (2008): The Dynamics of British Military Transformation. In: International Affairs, 84 (4), 777–807. Fadok, David S. (1997): John Boyd and John Warden: Airpower’s Quest for Strategic Paralysis. In: Philip S. Meilinger (Eds. ): The Paths of Heaven: The Evolution of Airpower Theory, Maxwell Air Force Base, AL: Air University Press, 357-398. Foley, Robert T.; Griffin, Stuart; McCartney, Helen (2011): ‚Transformation in Contact‘: Learning Lessons of Modern War. In: International Affairs, 87 (2), 253–270. Forster, Anthony; Edmunds, Timothy; Cottey, Andrew (Eds.) (2002): The Challenge of Military Reform in Postcommunist Europe, Basingstoke: Palgrave Macmillan. Frank, Aaron (2004): Get Real: Transformation and Targeting. In: Defence Studies, 4 (1), 64–86. Fukuyama, Francis; Shulsky, Abram N. (1999): Military Organization in the Information Age: Lessons from the World of Business. In: Zalmay M. Khalilzad und John P. White (Eds. ): Strategic Appraisal. The Changing Role of Information in Warfare. Santa Monica, CA: RAND, 327–360. Giles, Keir (2014): A New Phase in Russian Military Transformation, The Journal of Slavic Military Studies, 27 (1), 147-162. Giles, Keir; Monaghan, Andrew (2014): Russian Military Transformation – Goal in Sight?, Carlisle: Strategic Studies Institute. Gillespie, Paul G. (2009): Precision-guided Munitions and Human Suffering in War // Weapons of Choice. The Development of Precision Guided Munitions. Tuscaloosa: The University of Alabama Press. Gormley, Dennis M. (2008): Missile Contagion. 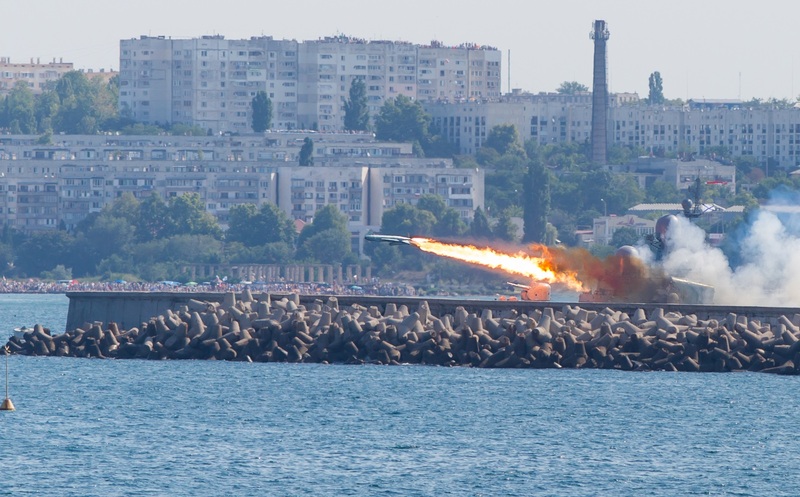 Cruisem Missile Proliferation and the Threat to International Security. Westport, Conn, Oxford: Praeger Security International. Gormley, Dennis M. (2014): Sixty Minutes to Strike. Assessing the Risks, Benefits, and Arms. In: S+F 32 (1), 36–46. Gormley, Dennis M. (2016): The Offense/Defense Problem: How Missile Defense and Conventional Precision-Guided Weapons Can Complicate further Deep Cuts in Nuclear Weapons (Deep Cuts Working Paper, 6). Haas, Michael (2013): Die Weiterverbreitung fortgeschrittener Waffensysteme. edited by Christian Nünlist. Center for Security Studies (CSS). Zürich (CSS Analysen zur Sicherheitspolitik, 145). Harknett, Richard J. and the JCISS Study Group (2000): The Risk of a Networked Military. In: Orbis, 44 (1), 127–143. Heaston, R. J.; Valaits, V. K. (1989): Handbook of PGM Related Acronyms and Terms. Guidance and Control Information Analysis Center. Chicago. Heaston, Robert J.; Smoots, Charles W. (1983): Introduction to Precision Guided Munitions. A Handbook Providing Tutorial Information and Data on Precision Guided Munitions (PGM). Chicago (1: Tutorial). Hansel, Mischa; Ruhnke, Simon (forthcoming): A Revolution of Democratic Warfare? Assessing Regime Type and Capability Based Explanations of Military Transformation Processes; in: International Journal. Hickey, James (2012): Precision-guided Munitions and Human Suffering in War. Farnham: Ashgate Publishing Ltd (Military and Defence Ethics). Hitchens, Theresa; Lewis, James Andrew; Neuneck, Götz (2013): The Cyber Index. International Security Trends and Realities. UNIDIR. New York and Geneva. Horowitz, Michael C.; Fuhrmann, Matthew (2017): Droning on: Explaining the Proliferation of Unmanned Aerial Vehicles. In: International Organization, 71 (2), 397-418. Institute for Economics and Peace (2016): Global Peace Index 2016. IEP Report (39). International Institute for Strategic Studies (2016): Military Balance. Arundel House, Temple Place, London, UK: Routledge for International Institute for Strategic Studies. ITU: Cyberwellness-Profiles ITU. Acessed: http://www.itu.int/en/ITU-D/Cybersecurity/Pages/Country_Profiles.aspx. Kaag, John; Kreps, Sarah (2014): Drone Warfare (Polity Press), Malden. Kaushik, Mrinal; Hanmaiahgari, Prashanth Reddy (2017): Essentials of Aircraft Armaments. Singapore, s.l. : Springer Singapore (SpringerBriefs in Applied Sciences and Technology). Accessed: http://dx.doi.org/10.1007/978-981-10-2377-4. Khalilzad, Zalmay M.; White, John P. (Eds.) (1999): Strategic Appraisal. The Changing Role of Information in Warfare. United States; Rand Corporation; Project Air Force (U.S.). Santa Monica, CA: RAND. Accessed: http://search.ebscohost.com/login.aspx?direct=true&scope=site&db=nlebk&db=nlabk&AN=20486. King, Anthony (2014): The Transformation of Europe’s Armed Forces: From the Rhine to Afghanistan, Cambridge: Cambridge University Press. Krebs. Gunter: Gunters Space Page. Accessed: http://space.skyrocket.de/directories/sat_c.htm. Krepinevich, Andrew F. (1994): Cavalry to Computer; the Pattern of Military Revolutions. In: National Interest 37, 30–42. Kubbig, Bernd W. (2005): Raketenabwehrsystem MEADS: Entscheidung getroffen, viele Fragen offen. Hessische Stiftung Friedens- und Konfliktforschung. Frankfurt (HSFK-Report, 10/2005). Laird, Robbin; Mey, Holger H. (1999): The Revolution in Military Affairs: Allied Perspectives, Washington DC: Institute for National Strategic Studies. Lewis, James A.; Timlin, Katrina (2011): Cybersecurity and Cyberwarfare. Preliminary Assessment of National Doctrine and Organization. UNIDIR. Lewis, Michael; Sycara, Katia; Scerri, Paul (2009): Scaling Up Wide-Area-Search-Munition Teams. IEEE Computer Society. Libicki, Martin (1996): The Emerging Primacy of Information. In: Orbis, 40 (2), 261–274. Libicki, Martin C. (1999): Illuminating Tomorrow’s War. Washington, DC: Diane Pub Co (McNair paper, 61). Loo, Bernard (2005): U.S. Military Transformation and Implications for Asian Security. Hg. v. Nanyang Technological University. Singapore (RSIS Commentaries, 39). Major, Aaron (2009): Which Revolution in Military Affairs? Political Discourse and the Defense Industrial Base. In: Armed Forces and Society, 35 (2), 333–361. Mandel, Robert (2004): The Wartime Utility of Precision Versus Brute Force in Weaponry. In: Armed Forces and Society, 30 (2), 171–201. Mandel, Robert (2004): Security, Strategy, and the Quest for Bloodless War, Boulder, CO et al. : Lynne Rienner. McDowell, Jonathan: Satellite list on Jonathan’s Homepage. Accessed: http://www.planet4589.org/space/. Møller, Bjørn (2002): The Revolution in Military Affairs: Myth or Reality? Kopenhagen. Mölling, Christian; Neuneck, Götz (2002): Informationskriegsführung und das Paradgima der Revolution in Military Affairs. Konzepte, Risiken und Probleme. In: Die Friedens-Warte, 77 (4), 375–398. Müller, Harald; Schörnig, Niklas (2002): Mit Kant in den Krieg? Das problematische Spannungsverhältnis zwischen Demokratie und der Revolution in Military Affairs. In: Die Friedenswarte, 77 (4), 353-374. Mulvenon, James C. et al. (2006): Chinese Responses to U.S. Military Transformation and Implications for the Department of Defense. Santa Monica, CA: RAND Corporation. Accessed: http://search.ebscohost.com/login.aspx?direct=true&scope=site&db=nlebk&db=nlabk&AN=197629. Murray, Scott F. (2007): The Moral and Ethical Implications of Precision-Guided Munitions. Air University Press, Maxwell Air Force Base. Alabama. Neuneck, Götz (2012): Cyber War oder Cyber Peace? Wird das Internet zum Kriegsschauplatz? In: HSFK/BICC/FEST/IFSH (Eds. ): Friedensgutachten 2012, Berlin: LIT Verlag, 136-149. Neuneck, Götz; Alwardt, Christian (2008): The Revolution in Military Affairs, its Driving Forces, Elements and Complexity. Institut für Friedensforschung und Sicherheitspolitik (IFSH). Hamburg (IFAR Working Paper, 13). Owens, William A. (2001): Lifting the Fog of War, Baltimore, MD: Johns Hopkins University Press. Persson, Mats; Rigas, Georgios (2014): Complexity: the Dark Side of Network-centric Warfare. In: Cognition, Technology & Work 16 (1), 103–115. Raska, Michael (2011): RMA Diffusion Paths and Pattern in South Korea’s Military Modernization. In: The Korean Journal of Defense Analysis, 23 (3), 369–385. Resende-Santos, J. (2007): Neorealism, States and the Modern Mass Army, Cambridge: Cambridge University Press. Resende-Santos, J. (1996): Anarchy and the Emulation of Military Systems: Military Organization and Technology in South America, 1870-1930. In: Security Studies, 5 (3), 193-260. Ruhnke, Simon (2016): Die Rezeption der Revolution in Military Affairs und die Ursprünge der Vernetzten Sicherheit im deutschsprachigen Diskurs. In: Zeitschrift für Außen- und Sicherheitspolitik, 9 (3), 399–416. Sauer, Frank (2014): Einstiegsdrohnen: Zur deutschen Diskussion um bewaffnete unbemannte Luftfahrzeuge, in: Zeitschrift für Außen- und Sicherheitspolitik, 7 (3), 343-363. Sauer, Frank; Schörnig, Niklas 2012: Killer Drones: The ›Silver Bullet‹ of Democratic Warfare? In: Security Dialogue, 43 (4), 363-380. Sayler, Kelley (2015): A World of Proliferated Drones. A Technology Primer. Center for New American Security. Washington, DC. Schörnig, Niklas (2011): „Stell dir vor, keiner geht hin, und es ist trotzdem Krieg…“ – Gefahren der Robotisierung von Streitkräften. In: HSFK/BICC/FEST/IFSH (Eds. ): Friedensgutachten 2011, Berlin: LIT Verlag, 355-366. Schröder, Matt (2014): Fire and Forget. The Proliferation of Man-portable Air Defence Systems in Syria. Small Arms Survey. Geneva (Issue Brief, 9). Schulzke, Marcus (2016): The Morality of Remote Warfare: Against the Asymmetry Objection to Remote Weaponry. In: Political Studies, 64 (1), 90–105. Sechser, Todd S.; Saunders, Elizabeth N. (2010): The Army You Have: The Determinants of Military Mechanization, 1979-2001. In: International Studies Quarterly, 54 (2), 481–511. Siouris, George M. (2004): Missile Guidance and Control Systems. New York, NY: Springer-Verlag New York Inc.
SIPRI: SIPRI-Trade Register. Online verfügbar unter http://armstrade.sipri.org/armstrade/page/trade_register.php. Spivey, Mark W. (1999): Completing the Sensor Grid: A Revolution in Imagery Management. Naval War College. Newport. Sugden, Bruce M. (2009): Speed Kills: Analyzing the Deployment of Conventional Ballistic Missiles. In: International Security 34 (1), 113–146. Accessed: http://www.jstor.org/stable/40389187. Terriff, Terry; Osinga, Frans (2010): Conclusion: The Transformation of Military Diffusion to European Militaries, in: Terry Terriff, Frans Osinga and Theo Farrell (Eds. ): A Transformation Gap? American Innovations and European Military Change, Stanford: Stanford University Press, 187-2010. US Office of Outer Space Affairs: Outer Space Objects Index. Accessed: http://www.unoosa.org/oosa/osoindex/search-ng.jspx?lf_id=. Valaitis, V. (1997): Handbook of Smart Weapon and PGM Related Acronyms and Terms 2nd Edition. Guidance and Control Information Analysis Center. Chicago. Waltz, Kenneth (1979): Theory of International Politics (McGraw Hill), Boston, MA. Way, Christopher; Weeks, Jessica L.P. (2014): Making It Personal: Regime Type and Nuclear Proliferation. In: American Journal of Political Science, 58 (3), 705–719. Weiss, Linda (2014): America Inc.? Innovation and Enterprise in the National Security State (Cornell University Press), Ithaca, NY. Zehfuss, Maja (2010): Targeting: Precision and the Production of Ethics. In: European Journal of International Relations, 17 (3), 543–566. Mischa Hansel and Simon Ruhnke (2017) A Revolution in Democratic Warfare? Assessing Regime Type and Capability-Based Explanations of Military Transformation Processes, in: International Journal, 72 (3), 356-379. Mischa Hansel and Sara Nanni (2018) Quantitative Rüstungsanalysen im Zeichen von Digitalisierung und Automatisierung, in: Zeitschrift für Internationale Beziehungen, 25 (1), [Quantitative Armament Studies within the Context of Digitalization and Automation Processes]. Mischa Hansel and Simon Ruhnke: Military-Technical Transformation Index (MTTI): Assessing Competing Explanations and Conditions of Military Acquisitions, Colloqium Center for Security Studies, ETH Zürich, 2nd November 2017. Mischa Hansel and Simon Ruhnke: Military-Technical Transformation Index (MTTI): Assessing Competing Explanations and Conditions of Military Acquisitions, 5. offene Sektionstagung der Sektion IB der DVPW, University of Bremen, 4th October 2017. 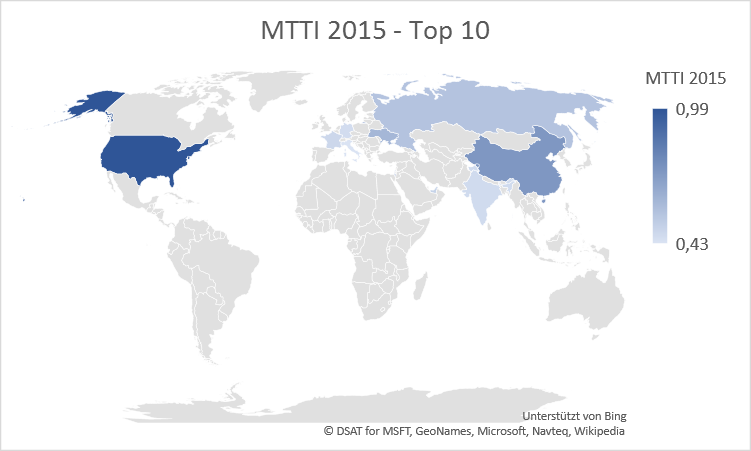 Mischa Hansel and Sara Nanni: Military-Technical Transformation Index (MTTI): Grundlagen für quantitativ-vergleichende Ursachenforschungen zur militärischen Transformation, Institut für Friedensforschung und Sicherheitspolitik an der Universität Hamburg (IFSH), 24th May 2017. Mischa Hansel and Sara Nanni: Rüstungsdynamik beobachten? Herausforderungen für quantitativ-vergleichende empirische Forschungen zur militärischen Transformation [Observing Arms Dynamic? 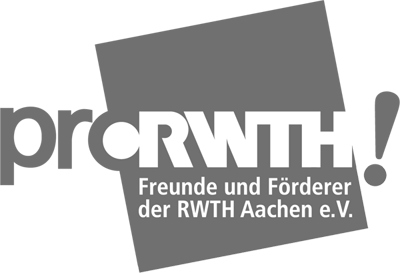 Challenges of Quantitative-comparative Empirical Research on Military Transformations], Tagung der DVPW-Sektion Internationale Beziehungen, Greifswald, 12th-13th January 2017. Mischa Hansel and Simon Ruhnke: A Revolution of Democratic Warfare? Testing Liberal and Realist Explanations of Military Transformation Processes, 8th ECPR General Conference, Glasgow, 3rd-6th September 2014. Mischa Hansel and Simon Ruhnke: A Revolution of Democratic Warfare? Introducing Fuzzy-Set Methodology to Discover the Driving Factors behind Military Transformations, International Studies Association Annual Convention, Toronto, 26th-29th March 2014. 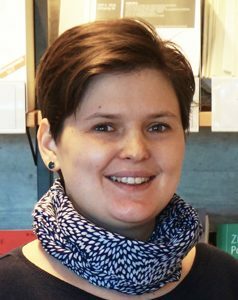 Project Supervisor: Dr. Mischa Hansel is an Assistant Professor (Wissenschaftlicher Mitarbeiter) at the RWTH Aachen University. 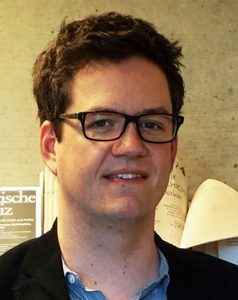 Previously he worked at the Justus Liebig University Giessen and the University of Cologne where he obtained his Ph.D in 2012. Research interests include the media coverage of war and interventions, military transformation processes and foreign policy analysis. 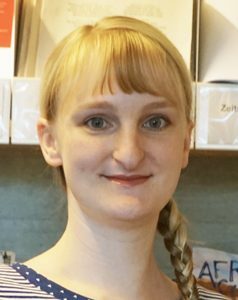 Sara Nanni obtained a bilingual BA in social sciences from the Universities of Stuttgart and Bourdeaux and graduated from the University of Frankfurt with a Master of Arts in peace and conflict studies. Since 2015 she is spokeswoman of the working group on peace and international affairs of the German Green Party. Amongst her research topics are global disarmament and international security policy in the Middle East. 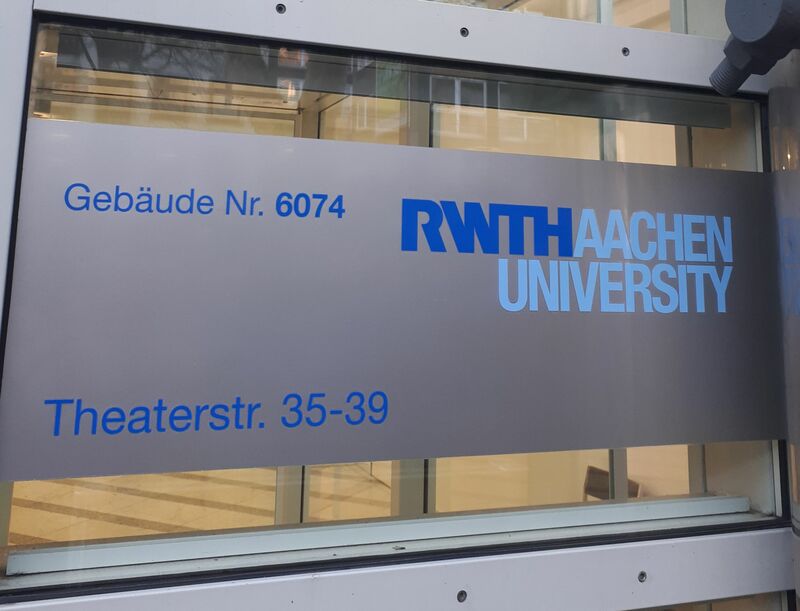 Marina Uebachs obtained a Bachelor of Arts in social science from RWTH Aachen University. She is now about to complete her MA thesis in political science. Our project aims to fill a critical gap within studies on military transformation by providing a global database on military capabilities in advanced information technologies.We thus hope to facilitate more quantitative works on the causes and driving factors of military-technological diffusion processes.Comments and criticsm is therefore very much welcome. Please direct all your inquiries to either Dr. Mischa Hansel or Sara Nanni. We appreciate your feedback and will answer your questions as soon as possible.